Habitat for Humanity volunteers are building the House of the Immediate Future on the grounds of Seattle Center. 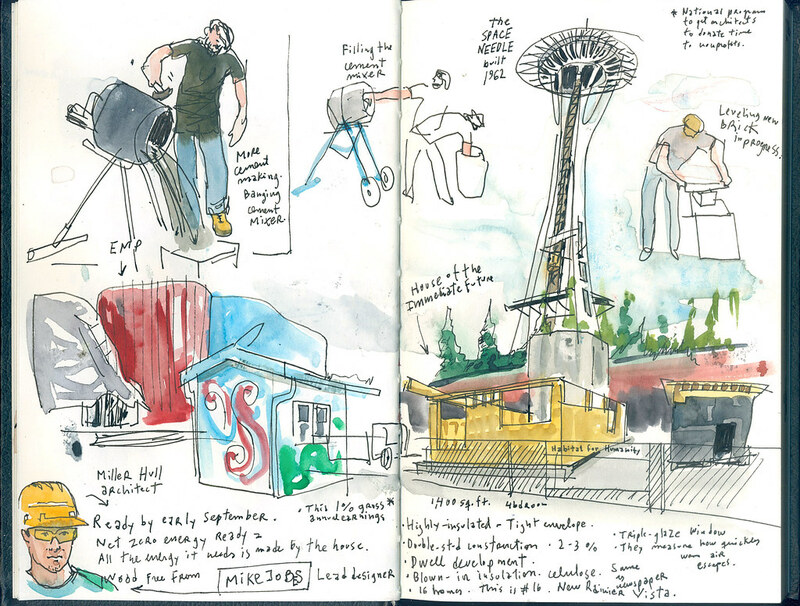 The Seattle Urban Sketchers chose the project, which is part of the Nifty Fifty celebrations at Seattle Center, for their monthly sketch outing, so that’s where I headed last Saturday to draw for a couple of hours with my fellow sketchers. The industrious construction process was really fun to watch up close. 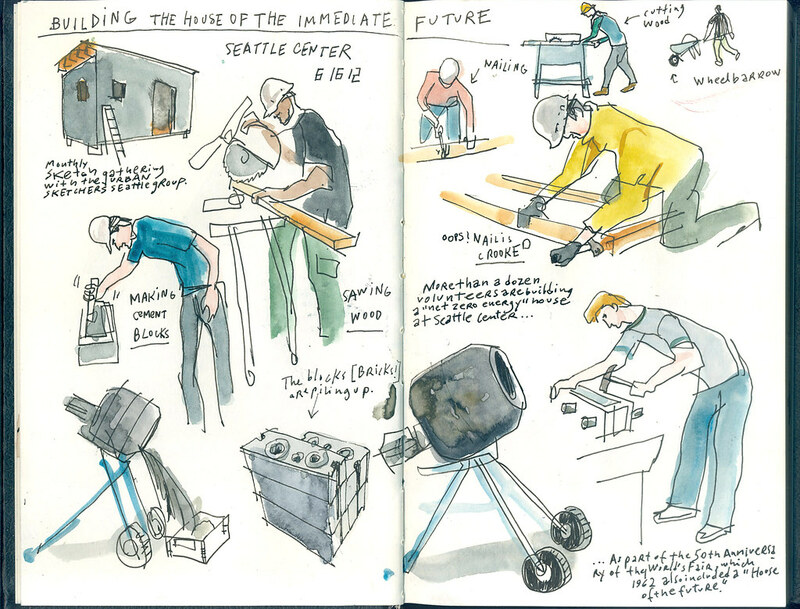 I sketched volunteers sawing and nailing wood studs and making concrete bricks. Mike Jobes, the Miller Hull architect who is the lead designer of the project, said the house will be completed by early September and people will be able to take a tour. I better plan for a future visit!